Yesterday was awesome. A few weeks ago, Chris Aviles, GEG NJ Leader, put out a call to teachers to attend what he called a Lesson Plan Jam at Google HQ in New York City. 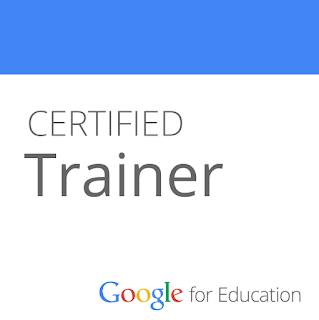 I had no idea what to expect, but couldn’t turn down a day at Google learning with friends and GAFE teachers. I love any good professional development opportunities but it was especially cool to feel like I was in a room of teachers like me. We all wanted to be there, were eager to collaborate and learn, and everyone brought something to the table besides their devices. Plus, did I mention the food? Can’t forget the food. If you ever have the opportunity for a Google lunch, do not pass it up. Jeff Bradbury led us through a Google Apps Iron Chef challenge, which I loved. We were grouped by subject area and then assigned a different subject area and a Google App to use to develop a lesson plan. It was fun, creative, and engaging, and is the kind of activity I want to use with my students and my staff. Do you use the goo.gl URL shortener? 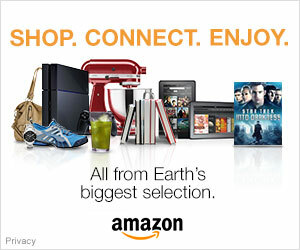 If not, check out the site and extension. Did you know that if you add .qr at the end of a shortened URL, it brings to you to a QR code image? Neither did I. One group shared how you can use Google Forms, Sheets, and Maps together to have students plot locations or track events. You can download a .csv from form results--for example, track number of sculptures in different cities, and import them into maps. Students can then add images and descriptions to the event. I’m considering using idea to track Elie Wiesel’s travels during the Holocaust in Night with my students. The day took place in Google’s Model Classroom, which was a modern and tech-savy version of most of our classrooms--rows of desks and a projector. What made it so cool, though, was the details. The desks were comfortable, with wheels, and swiveling desk tops. The room had dual projectors and sliding white boards, so there was a lot of space to present, project, and take notes. The doors were a part of a full glass wall, so there was a lot of transparency to the hallway and outside, which I liked. I want one. We also had a Q&A with Googler Matt Kam. Matt works for the research team on tools like Classroom, Forms, and Chrome. He told us about his background, job, and 20% Time Projects, and it was really cool to hear from him. He shared some of the perks of working at Google, like bringing pets to work, being awarded perks for doing favors for coworkers, and annual free massages on your anniversary at the company. I really enjoyed the conversation, the collaboration, and being at Google. Thanks to the GEG NJ organizers; it was a great day of learning. But I also had two big take aways to focus on for the start of the school year. My Classes Need a Homepage. 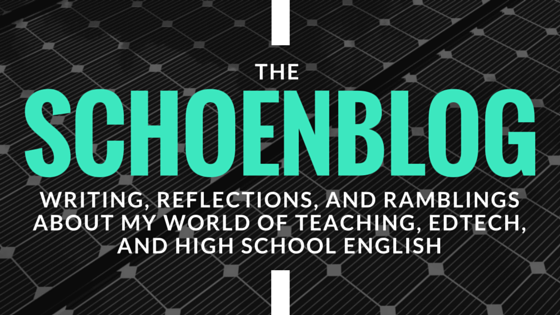 I’ve branded my blogging with the SchoenBlog; I need to brand my teaching as well. In the past, students have navigated Chrome on their own to find Classroom, Communities, and other tools. Instead, I want to create a homepage through Google Sites so there is one location that centralizes online learning. I’ll link to important sites and tools from there, but one home page makes it all easier. I can embed Google Docs there, so it’s easier to maintain and update, but I want all my lesson plans, activities, and assessments to be online and public this year. I love the idea of adding a Google Hangout button to this for instant extra help. My Classes Should Be Student Centered From Day One. I pride myself on my shifts to a student-centered classroom over the past few years, where my students are leading the learning and creating, guided by blended instruction. However, this isn’t how I traditionally start the school year and this needs to change. One idea that came up during the conversations was to treat our innovative technology-based instruction as a normal part of students’ education. My classroom shouldn’t be the one full of technology; it should be an example of what goes on in my school. I want to get started with collaborative online work on day one. My students don’t need me to read the syllabus to them or tell them about the classroom rules; they need me to set the tone for how they will manage their own learning this year. I’m definitely looking for ideas about how to do this. I’ve seen some recent Twitter conversations about the start of the year and plan to check them out for more inspiration. How do you start the school year? Right now, I’m considering a few possibilities. I will likely start with a Google Form to collect student information, which provides a link to the first assignment when student submit it. From the very start, students will be able to work at different paces and always move forward. I think I’ll ask them to interpret a quote or respond to a question through Padlet or another backchannel to lead into analysis and discussion. Another idea is BreakoutEDU or another critical thinking or game based activity. Something where students solve a problem through creativity, collaboration, and innovation, like the Marshmallow Challenge. Whatever I decide, you can be sure I’ll write about it here. And I’d love to hear your ideas and feedback to help me move forward.